Have you stayed with us before? We offer special discounts for returning guests when you book direct! Please Note: Our beachfront lounge across from the hotel is temporarily closed for renovation. 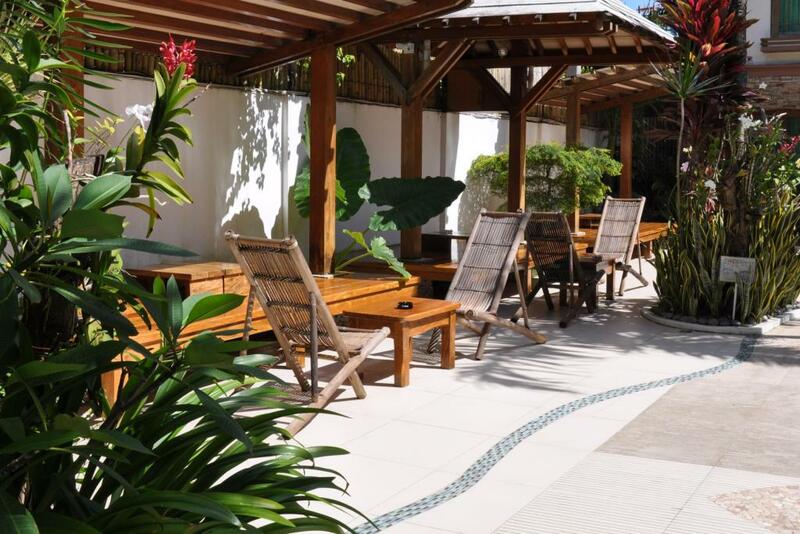 The Boracay Beach Club is a DOT-accredited 27-room resort located across the main road from Boracay’s White Beach in Station 1. The charming resort features a swimming pool with garden cabanas. All hotel rooms offer flat-screen TVs, air-conditioning, and in-room safes. As one of the few small resorts in Station 1, our hospitality team enjoys finding unique ways to create meaningful experiences for our hotel guests and the local community. We invite you to stay in touch with us by signing up for our newsletter or following us on Facebook or Instagram.